I’ve used multiple daily injections for most of my life, but over the past year or so I’ve seen some patterns in my blood sugar that could really benefit from the flexibility of pump therapy. After several meetings with my doctor and diabetes team, and some time analyzing my patterns under a microscope, we came to the conclusion that while my current regimen is OK, I would probably greatly benefit from switching to the pump. Now, I knew the pump was more expensive than injections. That’s not a surprise. But the REASON the pump is so much more expensive WAS a surprise, and in my mind represents a lot of backward, slightly dishonest, and cold maneuvering on the part of my insurance company. And it’s not just my insurance company, either. The whole industry uses the same trick. Here’s the trick: A pump is classified as a piece of “durable medical equipment.” It’s the same as, say, a hearing aid, or another similar piece of medical machinery. And that part makes sense. The pump itself is NOT medication; it is a highly sophisticated delivery device, and one that will be used continuously for a long period of time. It’s not a one-use, throwaway item like a syringe, and it’s not medicine like insulin. However, because of this classification, the pump is subject to a much higher copay than medication, AND is subject to a deductible before insurance pays ANYTHING. It varies, but in my case that deductible is $1,500 a year, and after that they will only pay for 60%. This is why most pump makers have programs that allow you to pay in installments for the pump. I still haven’t arrived at the dirty trick, though. As annoying as all this is (and I will get into a little bit of what makes even this a backwards way to think on the part of the insurance companies in a moment), it doesn’t violate the internal logic of the insurance system. By THEIR definitions, it does make sense to classify a pump this way. But they ALSO classify pump supplies this way! The tubing, the cannula, the insertion device, all of it. And that’s where this gets ludicrous. Because there is another classification used by insurance companies, and that’s “diabetic supplies.” Syringes and test strips are usually covered this way, and with good reason. A syringe isn’t medication, either. But it’s a one-time-use, vital component that allows insulin to be delivered to the person who needs it. The same is true for test strips. They’re not medication, but they are utterly vital tools for maintaining good control. By classifying supplies under durable medical equipment instead of diabetic supplies, insurance companies have found a way to get more money out of us. And that means they’re making a better profit today. But they’re doing it by denying access to a BETTER treatment modality to millions of people who face the possibility of medical complications. They’re saving today. But down the road, not only will we the patients have to pay more for medical procedures, so will the insurance companies! That’s what really amazes me here — if the pump improves outcomes, then the pump SAVES money for the insurance company by avoiding the costly medical outcomes of inferior treatment. 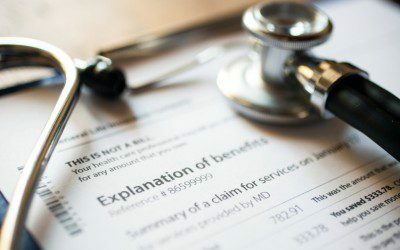 Now, I would guess that most insurance companies are making the calculation that before many people face complications, they will have left their current policy, switched over to Medicare, or somehow otherwise left the financial responsibility of the insurance company helping to cover the cost of the pump. And that may be. I’m sure the calculations work out in favor of the insurance company. Regardless of the numbers, it all feels like a dirty trick to me. I’m probably still going to switch over, thanks to some generous help from family members who care about me. But I’ll be honest — without that help, I don’t think I could. I would be sticking with injections (no pun intended there). Now, I’m not someone in dire need — I’ve done well enough on injections — but I AM someone who will benefit from the pump and will almost certainly see better medical outcomes as a result of it. And the general consensus seems to be that across the board, pump therapy provides the best outcomes. It angers me that the insurance companies have found a loophole to justify denying the empirically-validated “best practice” to so many people who could benefit and live better lives with LESS pain. Insurance companies need to classify pump supplies under “diabetic supplies.” By their own internal logic, and by law, I don’t see how they can get away with the current classification. But they aren’t going to change it out of the goodness or their hearts or concern for their patients — it’s not what drives their decisions. We need advocacy. Call your chapter of the ADA, write your congressmen. Contact your insurance company (I’ll be on the phone with mine most of this morning arguing exactly this point to see if there’s any way I can reduce the cost that’ll be coming my way soon). Find avenues and let’s start pushing back.